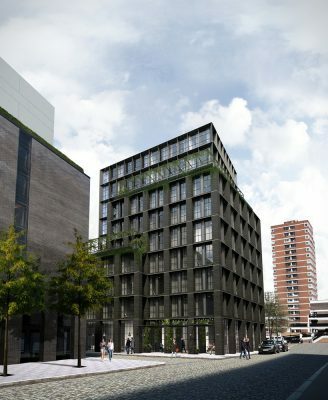 The Curtain is a nine storey, 120 key new build restaurant, hotel and members club located at the heart of Shoreditch. 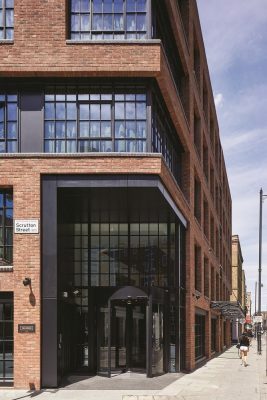 The building is located on the site of a former 1970s office block on the corner of Curtain Road, and its design reinterprets the area’s 19th century warehouse heritage. In June 2017 lead architect, Zoe Tallon of Dexter Moren Associates, was announced as the winner of the prestigious Creative Spark Award, for her work on the project. The award recognises the best-designed new hotel, and is voted by delegates of the TOPHOTELPROJECTS World Tour London, comprising a wide selection of influential industry peers including fellow architects, hoteliers, investors, interior designers, suppliers and media. 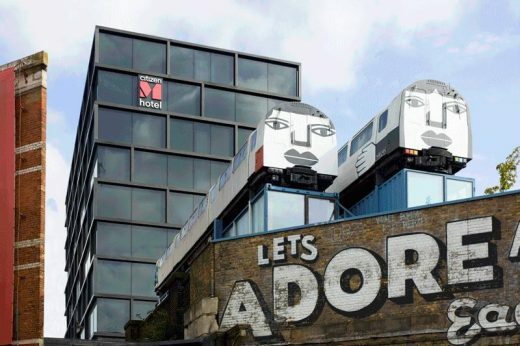 Contemporary Shoreditch is in constant flux, developing from an unfashionable backwater to London’s capital of creativity in the 1990s, before evolving to become home to the UK’s technology start-up scene. As a result, the area has undergone significant gentrification accompanied and driven by a host new art galleries, creative hubs, pop-up shops and restaurants, quirky pubs, clubs and eateries. 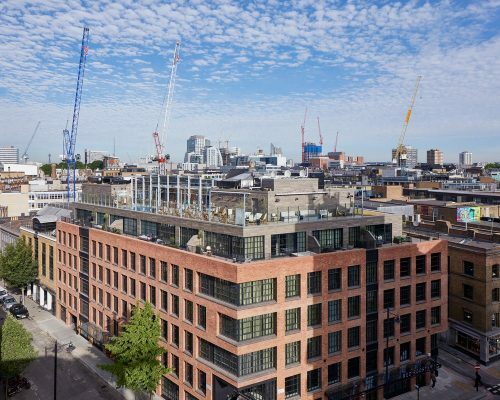 Hotelier Michael Achenbaum had a vision for a new high-profile restaurant, hotel and members club sitting right in the heart of Shoreditch, which would reflect the area’s architectural heritage, industrial history, and current creativity. Michael hired architects Dexter Moren Associates to transform this vision into reality. 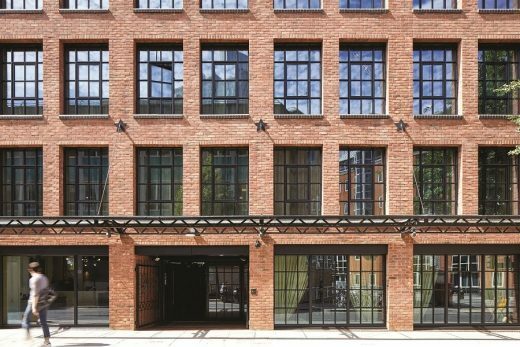 The facade consists of red brick with large-framed Crittall Windows which complement the urban / industrial aesthetic and gives the building a character and identity of its own. The Curtain features a live music venue in a fully soundproofed basement, a state-of-the-art gym, wellness area with treatment and steam rooms, screening room, ballroom, and a 1,600ft2 rooftop restaurant bar. There is also a Moroccan-style heated pool offering stunning views across the City skyline; three restaurants, the LIDO, Red Rooster and Tienda Roosteria; and a members only bar, Billy’s Bar Meanwhile, British rock photographer Mick Rock supplied some of his iconic photography for the building, adding further to The Curtain’s stylish eclecticism. 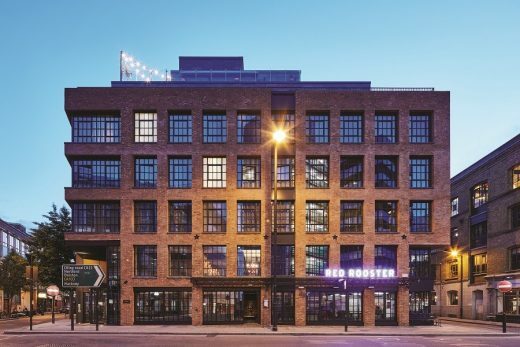 Dexter Moren Associate’s design reflects the industrial warehouse aesthetic of this part of Shoreditch. An important consideration was to create a modern hotel building which is highly sensitive to the site’s historical context. 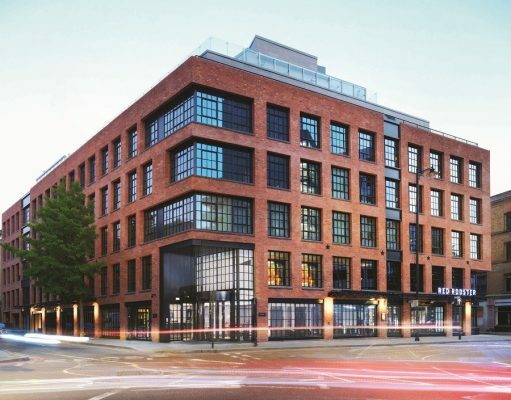 This has been achieved through the use of urban red brickwork, profiled metal panels, large Crittall-style windows with deep reveals and bullnose brick sills. 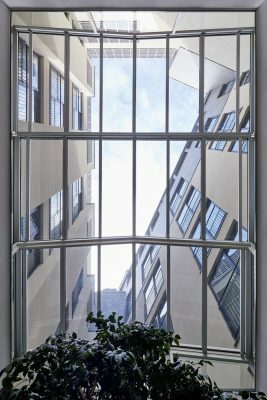 Inspiration for the exterior came from the many cabinet factories and colour warehouses that previously stood on the site. In these buildings the block is broken up vertically by the delivery doors to the warehouse; this also has the visual effect of breaking down a large facade into a smaller, more residential scale. The Curtain design uses this device to break up the visual mass of the building while retaining its overall cohesion by the use of brickwork throughout. The interior features art supplied by Mick Rock, famous for photographing music legends such as David Bowie, Lou Reed and Blondie, and for creating some of the key images of the Seventies. The artwork will therefore reflect the heady atmosphere of one of London’s hottest cultural centres. Rooms and suites feature exposed brick walls, hardwood flooring, black-framed factory windows. 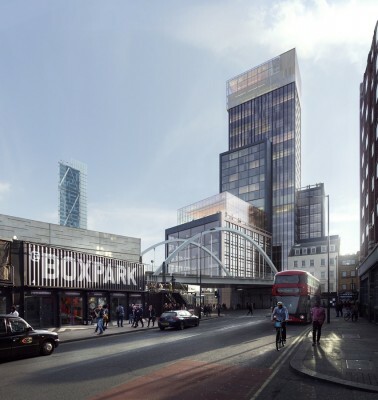 The Curtain is also designed to be a positive contribution to Shoreditch: not just as a landmark building, but one that helps to repair the streetscape by the use of proportions respectful of the surrounding buildings and reflecting the heritage of the site. Public realm engagement is further enhanced by a number of street level entrances. There will be a total of five bars throughout the hotel, including in the garden courtyard. 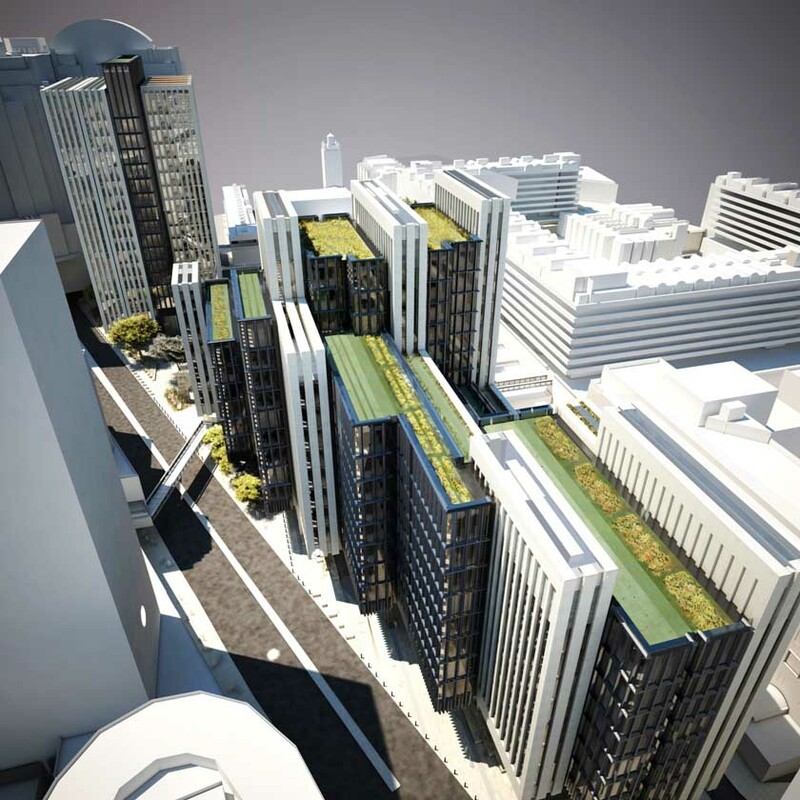 Entry-level Courtyard rooms will look into a light well and come with separate toilet and a large shower room, while loft suites will have their own large terraces with views across the cityscape. 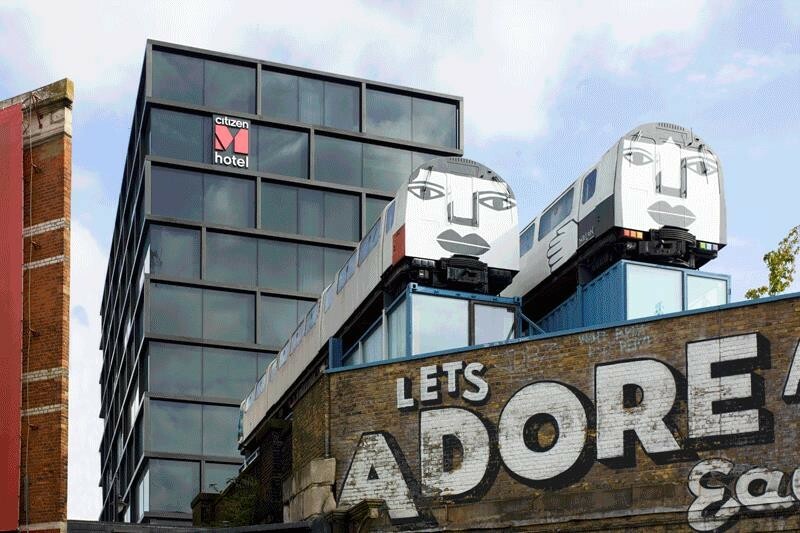 Shoreditch has a rich and varied history, fading in and out of fashion over the centuries. Medieval Shoreditch was dominated by the Priory of St John the Baptist at Halywell (or Holywell), founded in the 12th century, immediately to the east of where The Curtain now stands. In 1576 James Burbage built the first playhouse in England, and its timbers were used to create Shakespeare’s Globe Theatre in Southwark. In more modern times, Shoreditch became a combination of residential, manufacturing premises and warehouses. South Shoreditch, and the Curtain Road area in particular, became the centre of the English furniture trade during the second half of the 19th century, and a cabinet factory was still present on the site in 1922. 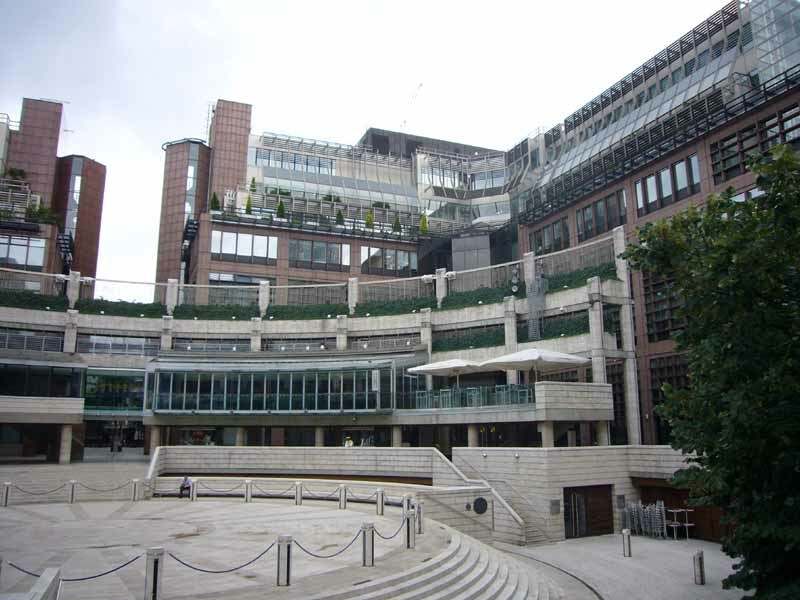 The central part of the site was an open courtyard, a feature faithfully replicated in Dexter Moren’s design.